Jeff Duncan-Andrade entered his first classroom of Oakland seventh graders at age 20, barely out of school himself and suddenly responsible for nurturing teens with lives plagued by poverty and violence. More than two decades later, Duncan-Andrade still teaches at a public school and has garnered national acclaim for his work educating and empowering Oakland youth -- and it has been announced that he will receive the prestigious Jefferson Award for Public Service in January. Jeff Duncan-Andrade, associate professor of Latina/Latino studies and educational leadership, is establishing the Roses in Concrete Community School as an incubator for skilled educators who will go on to teach in Oakland public schools. Duncan-Andrade's passion for improving the lives of his students and frustration with the public education system have compelled him to embark on a new project: establishing the Roses in Concrete Community School, where educators will be trained to engage with each student as an individual. "My curriculum and my interactions with families have been about getting students to trust that they are brilliant, and to address the fact that their resources are often being reallocated to deal with more pressing needs -- hunger, an unsafe environment, self-hatred," Duncan-Andrade explained. "If I can figure out how to divert some of that, students have more resources to devote to writing an essay for my class. Roses in Concrete is about testing that way of teaching on an institutional level." The Roses in Concrete school is designed to serve as an apprenticeship pipeline to train skilled teachers who will go on to work in Oakland public schools, bringing an understanding of this philosophy with them. 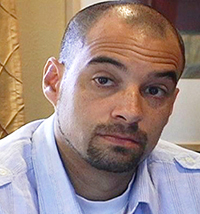 Duncan-Andrade, who is also an associate professor of Latina/Latino studies and education administration and interdisciplinary studies at San Francisco State University, plans to recruit talented educators from around the country who will mentor undergraduates at SF State, Mills College, Stanford University and other Bay Area institutions. "We will be literally growing our own for the district," he said. The project recently cleared a major hurdle: On Oct. 8, the Oakland Unified School District Board of Education approved the creation of the charter school in a rare 5-to-0 vote. The K-8 Roses in Concrete Community School takes its name from a poem by late rap artist Tupac Shakur, which admires roses growing in harsh conditions, "damaged petals" and all. The school's concept comes from Duncan-Andrade's teaching methods, which encourage self-esteem and self-worth, with the understanding that students must have basic physical and mental comfort to thrive. When he works with a student, Duncan-Andrade said, he tries to understand and address the specific challenges that are preventing him or her from focusing on studying. "I know you want to succeed as a student," he explained. "I need to figure out what is in the way of you being what you want to be. I don't need to fix you. Instead, what's broken is the infrastructure." In addition to the teacher apprenticeship program, Duncan-Andrade envisions the school as an open lab for the practice of teaching and better understanding how successful strategies can be replicated. "Teachers need to reclaim what good teaching is," he commented. "Part of the goal is to really study what the most effective teachers do and how they do it, to use the tools of research on a much deeper level." This will be the first time this kind of school has been situated in "one of the most vulnerable communities in the country," according to Duncan-Andrade. Unlike many charters, which admit thriving students but offer little or no room for the more challenged, Roses in Concrete will serve the children of its East Oakland community without the right of refusal. "We have to adjust to meet the needs of the community, not the other way around," he said. While the school board's approval is a huge step, much remains to be done before Roses in Concrete can open in fall 2015, which is Duncan-Andrade's goal. He and his team need to find a site, raise money, recruit teachers, finalize relationships with undergraduate programs and get families on board. "It's mind-boggling when I think of all the things that need to happen in very short order," he added. For the time being, Duncan-Andrade has his teaching obligations at the high school and university level, as well as a rigorous public-speaking schedule at schools and seminars around the country. He is also completing his third book, which outlines core competencies for successful educators. At the school-board meeting that decided the fate of Roses in Concrete, there was a clear testament to Duncan-Andrade's success as a teacher: Dozens of his former students attended to show their support, each holding a red rose. The group spanned the arc of his career, including a student from his first school stint 22 years ago -- once a homeless, abused seventh grader and now a teacher himself. Many of these former students have told Duncan-Andrade how much they would like to send their own children to Roses in Concrete. "That was probably the most meaningful part of the board meeting, to see all the generations of my students interacting with each other, our children chasing each other around," Duncan-Andrade recalled. "I thought, 'Wow, this is a community.' Maybe that's the big difference between what we're building and what a lot of kids experience in school -- we're not trying to build a house, we're trying to build a home."